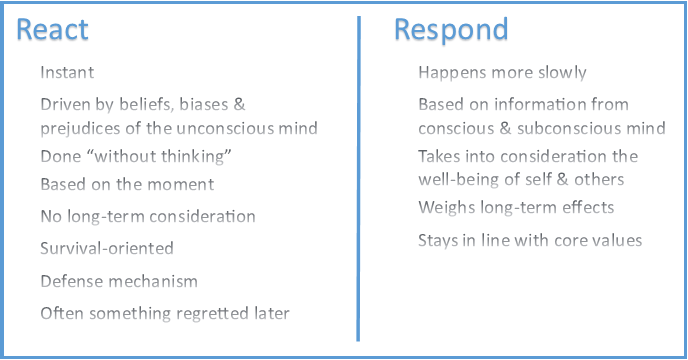 In an article on Psychology Today, Dr. Matt James differentiates between responding and reacting. Below is a summary of what he says. Reacting and responding may look the same at times, but they certainly feel very different from one another. In review of my most memorable times of reacting and responding, I definitely find this to be true. When I think of those times when I’ve responded instead of reacted versus those when I’ve reacted instead of responded, some patterns emerge. Before delving into those patterns, understand that everyone has reacted when they should have responded. To do so is part of what it means to be human. It’s those times, seasons really, when we seem to live in reactionary mode that are cause for concern. During these seasons, the following are usually true for me and need dealt with in order for me to move back into respond mode. When I have too much to deal with mentally or physically, my overall quality goes down in pretty much every area of life. Often, this happens because of Decision Fatigue when there’s just too much stress for me to process life with any clarity and focus. Being off track is basically a loss of focus. It means I’ve stalled and am no longer moving forward. It means I need to get back on track before I’ll be able to be consistently healthy and productive again. Essentially, since focus determines reality, this is a time to Reset Your Focus. Reacting instead of responding has become a sign that something is off in my life. I now use it as an opportunity to take stock and see where I need to adjust or even reset in some way. Sometimes, it means I need to simplify again. Others, it means I’m letting my feelings instead of the facts dominate my thinking. Whatever the root cause, a time of evaluation — usually accompanied by resting — helps me see what needs adjusted. Always, this process includes lots of prayer. At the source of this prayer during these assessment times in my life are a few key Scripture that I’d like to end with and to encourage for meditation. Passion for anything, including my work, my kids and my husband, is misplaced if they exist as the focus and driving force behind that passion. That seems odd to say, but I think that’s because our definition of passion has gotten all mixed up. Any powerful or compelling emotion or feeling, as love or hate. Strong amorous feeling or desire; love; ardor. An instance or experience of strong love or sexual desire. A strong or extravagant fondness, enthusiasm, or desire for anything. The key with passion is what drives it. If passion exists because of the object receiving it, if it is driven by that object, it’s misplaced. If the driving force is anything but God, our passion will lead us down the wrong path. Living for God means both that his desires direct our passion and that the passion he doesn’t desire is put to death. In other words, any fondness, enthusiasm and desire we have must come from a focus on pleasing and glorify him, not satisfying our emotions or ego or fleshly desires in any way. Scripture helps direct our passion this way. We express passion through our attitudes, actions and words. For example, our alacrity reflects the state of our passion in any given situation. In other words, how we live shows the focus and driving force behind our passions. The question then becomes, is the passion driving my attitudes, actions and words given and directed by God? Or, is it self generated and led by that which only satisfies my flesh? Inability to live as my God-given passion directs indicates imbalance in at least one area of life. Often, imbalance exists in multiple areas at the same time when my passion struggles for breath. Too busy. Discouraged. Fatigue. Frustration. Just to name a few. All of these block my ability to live life with passion. When this happens, when you know God is directing you a certain way but your motivations won’t cooperate, pay attention. This usually happens because two things are going on, sometimes one at a time and sometimes both at once. An adjustment of some sort is needed. An opportunity for growth is presenting itself. When I’m too busy, my commitments need adjusting and cleaning out. If discouraged or frustrated, my focus needs adjusted back on Jesus. Constant fatigue generally means I need to adjust something physically like sleep, exercise, hydration and diet (often all of them). When I first enter a season of adjustment and growth, I rarely recognize it for what it is. In fact, I usually look for external sources out of my control to blame. While such sources are likely a contributing factor, they are not the root cause. The root cause always lies with some physical, mental or spiritual source within myself. Often, it’s a combination of the three. Not diminishing external influences though. Betrayal. Broken trust. Unemployment. Illness. Death. Life certainly hands us plenty to knock us off kilter. But our passion, if it’s focused on and sourced from God, can remain full and true regardless of circumstances. Sure, it will fluctuate because of the factors that influence it, but it can never be taken away when its source lies only in your Creator. On a recent work task, I completed what I thought fell precisely in line with my directives. Instead, what I thought I needed to do was completely wrong. Not even close, actually. The mistake devastated me and threatened to send me into a dark, self-deprecating pit. After the emotions wore off and I quit trying to blame someone else, I thought about my mistake and what led to it. Essentially, I performed a mental root cause analysis. I first tried to credit the error to the general excuse of miscommunication but realized that just lets everyone involved off the hook and doesn’t help much. So, in all honesty, I admitted that the cause of the mistake fell solely on myself, more specifically, on my attempt to multitask. Instead of putting my full attention into a planning meeting, I got distracted by other tasks. The worst part? Well, there are two worst parts, actually. First, I wrote down the correct task needing completed. I just didn’t look at my notes because I failed to even remember I took them. Second, I thought this type of mistake existed only as a habit broken long ago. Clearly not. The mistake serves as a reminder about the importance of maintaining focus, which impacts reality in significant ways. Not only does what you focus on determine the direction you take, but how many tasks you focus on does too. Focusing on multiple tasks at once divides and weakens your attention and productivity. It diminishes the quality of your efforts and slows overall progress. I thought I’d beaten this bad habit of multitasking that contributed to my overwhelm and overload so many years ago and created the mediocre quality that eventually crept into every area of my life. And while it’s not fully returned, this backslide served to remind me of habits I need to refresh and reestablish if I am to maintain a right focus that in turn establishes the reality I desire for my life. In Why Single-Tasking Makes You Smarter, Sandra Bond Chapman, Ph.D., calls multitasking toxic because it drains the brain, zaps cognitive resources and promotes early mental decline. Multitasking also decreases sharpness and increases cortisol, which can damage the memory center of the brain. And those are just the long-term consequences. In the short term, multitasking overloads the brain, makes you less efficient, keeps thoughts at surface level and causes mistakes to occur more frequently. Honestly, before experiencing the difference between a life filled with multitasking and one more oriented toward single-tasking, I did not buy into what Chapman asserts. Now, I realize the truth in how multitasking consumes a person’s mental resources to the point of almost complete ineffectiveness. What toxic evidence of multitasking do you see in your life? Next week we’ll explore the benefits of single-tasking and look at some basic habits to help get there. When our van got stuck in the snow years ago, it overheated and caught on fire when I tried to get it unstuck. In hindsight, I should have just waited for the tow truck my husband went to call. Not one of my better decisions. Stuck in traffic. Stuck in the mud (or snow). Stuck in a rut. Doesn’t matter what kind of stuck… Frustration grows the longer I’m stuck, whether mentally physically or spiritually. The more frustrated I become, the less patience I have, and the more stuck I feel. Being stuck gets my emotions all riled up, and I simply become unable to make good decisions. Until the frustration, impatience and anger abate, I feel lost in an endless maze of emotions. So, feeling stuck too easily turns into more like being trapped unless I find a way to overcome the emotions and get unstuck. 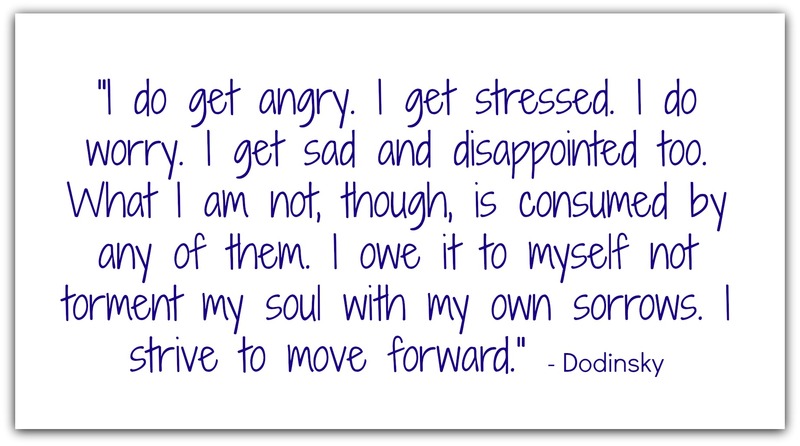 For this reason, my first step when I feel stuck is to get out from under out-of-control emotions. Sometimes this means simply walking away from the situation if possible and letting the emotions abate. When physical space can’t happen, I try creating mental space through praying, reading, singing… whatever gets my mind off how I feel, which is rarely a good lens for handling a situation well. 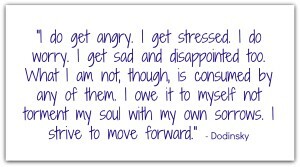 After my emotions fade, I can see more clearly and am able to assess the situation and consider the root cause. I ask myself, “Why did I get stuck in the first place?” Sometimes, the cause is simply a wrong turn. Other times, being stuck serves as a warning from my subconscious alerting me to a problem I might not recognize on my own. With our van incident, while a wrong turn led us to getting stuck, and my impatience resulted in a significantly worse situation, the whole incident alerted us to a problem with the vehicle’s electrical system. In this case, we just lost the van, and no one was hurt. Had this particular situation not happened, we might have learned about the recall through a much worse scenario. Once we have a better idea of what caused us to become stuck, we can make the best choice for how to wisely work through the problem. 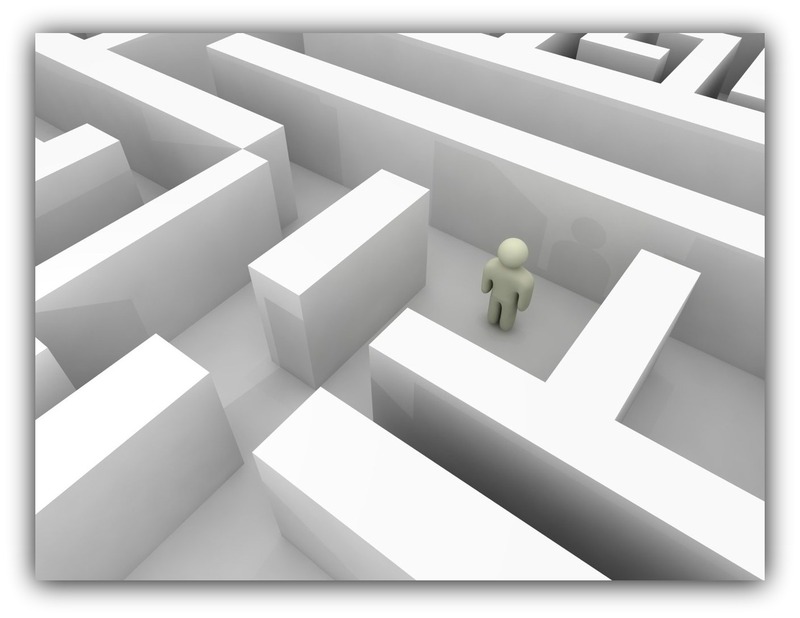 If a wrong turn is the cause, the best solution is usually to just get back on the right path. Sometimes this means getting help, and sometimes this means backtracking. Either way, simply accepting the loss — and apologizing if needed — is often the best way to get unstuck. In the past when I’ve felt stuck, I’ve generally made one of two bad choices for dealing with being stuck. Sometimes, I got stubborn and pushed (forced my way) through to progress. Other times, I did nothing and simply wallowed in my doldrums. Both of these approaches ended the same way… chronic stuckness from never actually dealing with the root cause. Over the years, I’ve learned that being stuck is not necessarily a bad thing. It brings me to a standstill, to a place where I am unable to proceed or go back, and that makes me stop and think. When I get out from under my emotions and find the root cause, I also discover needed adjustments I would not have seen had I not gotten stuck. Getting stuck never feels good, regardless of the details. Yet when we realize that the best adjustments in our lives often come because we get stuck, we see the benefit to this unavoidable waiting. We begin to understand that progress often comes with forced course corrections largely because we often don’t stop to look for them otherwise. DISCUSSION: How do you get unstuck? Years ago, I thought I had a patience problem. I needed more of it. So, I worked to be more patient. Unfortunately, trying to be more patient didn’t work all that well. I then decided I instead had an anger problem. If I simply prevented anger, patience would increase. You know, walk away before anger gets out of control. 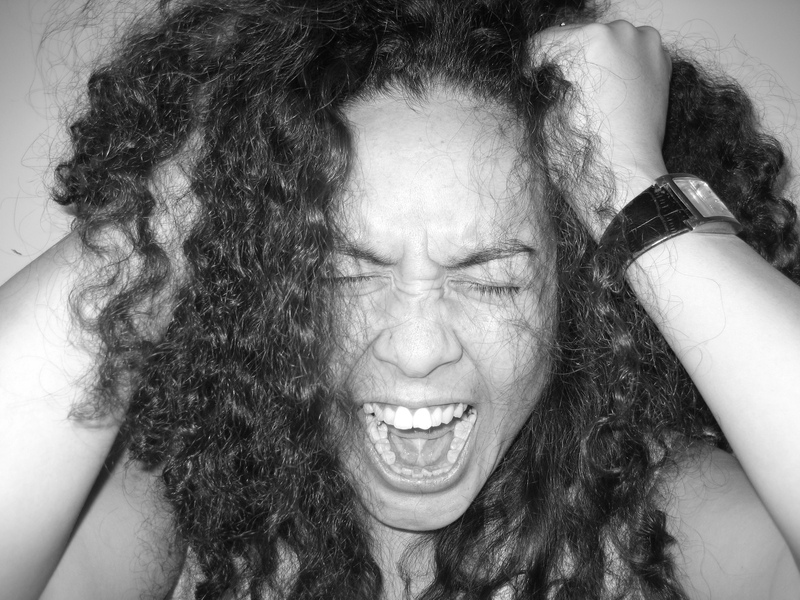 Avoid trying situations that erode patience and promote frustration and anger. That didn’t work either. Honestly, consistency consistently eluded me with regard to patience. At some point, I finally realized my struggles with patience stemmed from control issues — I wanted to control people and situations… yes, all of them. I lost my patience and replaced it with anger and frustration when that didn’t happen, which was most of the time. We most often associate patience with putting up with another person, but it goes well beyond that. Patience also means waiting and not forcing a situation to happen according to your preferences. Having patience means staying emotionally steady when a person doesn’t do what you expect or a situation doesn’t happen as you expect. Patience involves making a decision to not force a situation, to instead wait and let it happen — or not — as it will. Having patience and not insisting on your will requires faith as a way to not simply get through something but to instead know the Lord will direct your actions (Proverbs 16:9). Patience involves a refusal to insist on your own way. It means letting others make mistakes because that’s the only way they’ll realize they’re mistakes and because you want the same to happen when you make mistakes. It means forgiving when a person doesn’t know they should be sorry or knows and simply isn’t sorry. Patience toward people and circumstances often requires knowing what your emotions want and choosing to head in the opposite direction. It means employing flexibility to the utmost of your limits. Somewhere along the way, I learned to tell myself “Don’t force it” when patience evaded my grasp and anger and frustration took its place. This motto enforces patience and reminds me to wait even when my feelings want to push and pull and control. “Don’t force it” provides a practice that receives reinforcement through remembering all the times I did the opposite and found myself overwhelmed and overloaded in getting what I wanted only to discover it was not what I needed or that it distanced me from those I loved. “Don’t force it” is a determination that keeps me from getting ahead of God and discovering I left His presence behind for the benefits of His promises (Exodus 33). It’s a reminder to let Him be God and to follow His leading. Patience says you trust God to work in another’s heart and mind to their benefit and His glory (Romans 15:5). It says you trust Him to present opportunities as you actively wait in what you already know to do. It means placing an inner stillness over your desire to control and to instead focus on His presence. It’s a fruit of the Holy Spirit we make room for as we deny the flesh (Galatians 5:22). Patience exists as an attribute, a requirement really, of truly loving others (1 Corinthians 13:4). It’s a habit that flourishes in simplicity of living (James 5:7). It’s an aspect of the Lord’s character we must pursue as we focus on who He is, not just what He does. Patience now exists with consistency in my life, now that I know the root cause isn’t a lack of patience or an abundance of anger but a control issue. 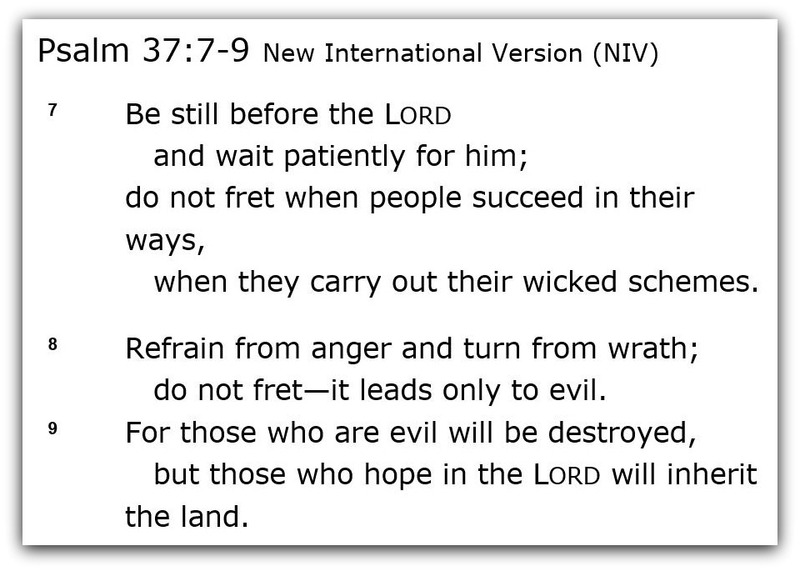 Sure, patience needed to increase and anger needed to decrease (and sometimes they both still do), but I now realize neither of those could happen until my need to control others and situations diminished. Until my focus turned away from my own efforts and instead fixed on the One who holds all control, my reality remained in the muck and mire of out-of-control emotions. Knowing He has ultimate control over all aspects of life brings me peace. Knowing He gives wisdom and guidance in every moment of life produces staying confidence. And knowing His Spirit plants and cultivates patience within me allows me to focus on the victory within the struggle. 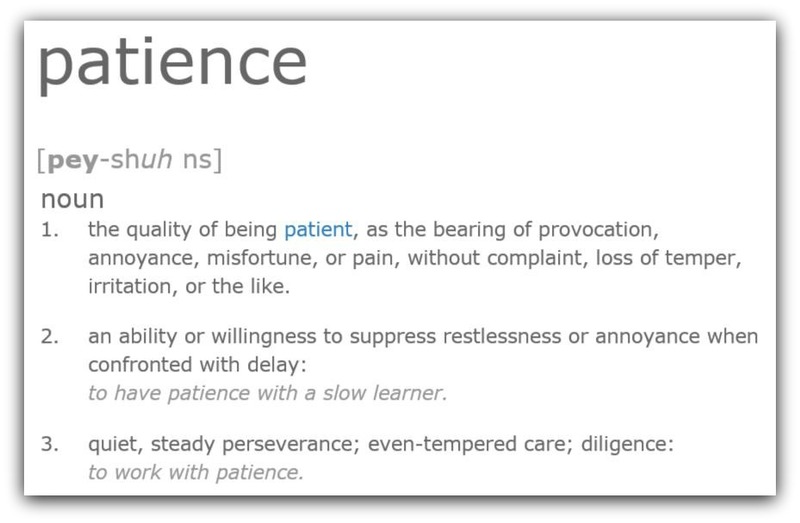 DISCUSSION: How have you struggled with patience? How have you found victory over it? Note: This post was originally published on July 11, 2012 under the title “Could This Be Your Biggest Source of Irritation, Frustration and Even Anger?” It has been revised and updated significantly. Though my boys left elementary school years ago, I still remember the grading system used for their report cards. Anyone in sales knows that business revolves around meeting customer expectations. As Curtis Fletcher says in Creating Customer Expecta…, every aspect of a business creates expectations, from the tag line, to the company name, to the web site. From business to education to personal relationships, expectations direct every area of life. Expectations are often formed automatically and without effort. Expectations are often unknown until they’re unmet. Expectations are not always requirements, but we often treat them as such. Expectations set standards that are often not agreed upon by those involved. Expectations can be reasonable and still go unmet. If you analyze your irritation, frustration and anger at any given time, in most instances you’d likely discover the root cause to be unmet expectations. And if you fail to adjust how you operate within these expectations, they’ll eventually wreak havoc in your life. When we simply let the resulting emotions (irritation, frustration and anger) bubble up without assessing from whence they came, we’ll constantly find ourselves caught in the struggle that expectations create when left to their own devices. In other words, we need to deliberately make a point to understand and clarify expectations. We can’t escape the fact that expectations exist and that they are often the nemesis to healthy relationships. But they don’t have to be. Instead, the existence of expectations can fuel our communication, which can strengthen and deepen relationships. Expectations, especially when clarified and agreed upon, can actually help direct action toward progress. Consider the following points to help clarify expectations in a way that can strengthen relationships, whether with your spouse, kids, coworkers or customers. Understanding other people’s expectations takes work. Telling someone your expectations takes courage. Discussing expectations is often appropriate and necessary. Writing down expectations can help clarify them. Expectations must be acknowledged and communicated if they are to be a positive force in relationships. Yet, even with all our efforts toward communication of expectations, we still will regularly deal with the unexpected. To ward off the negative impact of unmet expectations, we need to learn to expect the unexpected in the form of disappointments as well as surprises, unmet as well as exceeded expectations. They are a part of life because expectations are a part of life. As we expect the unexpected, we can expect expectations to sometimes be unmet, unrealistic, unfair, unset and unclear because that is their nature. We can also learn to decrease the gap between expectations and reality as we learn to communicate better with those around us. DISCUSSION: What is the most helpful piece of advice you have for managing expectations? This post was inspired by the comments of Mark Allman in the post Happy Anniversary. 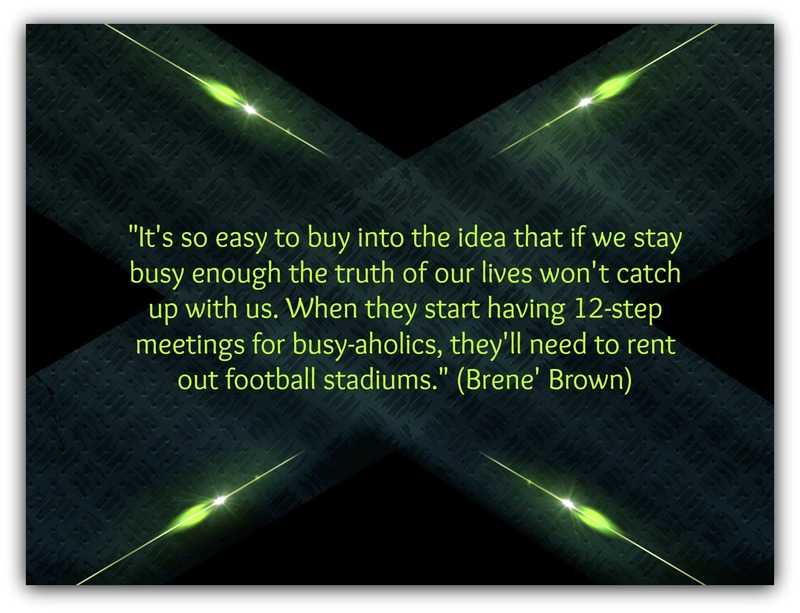 Many people seem to equate being busy with being important. Somehow, being busy by living in a state of perpetual hustle and bustle and constant exhaustion seems to say, “I matter.” In fact, if you’re not crazy busy, others look at you with resentful longing. This constant busyness leaves many feeling like they’re running an endless race with an illusive finish line. They feel trapped, but they remain ignorant of why. Being too busy to find balance is simply much easier that doing the hard work of changing. After all, busy is what you’re supposed to be, right? If you’re not busy, you’re probably missing out on something. Or, maybe busyness just keeps boredom at bay. What would you do if you weren’t so busy anyway? I remember when busyness kept me moving and gave me purpose. Those were the days when my “Busy” answer existed as both a boast and a complaint. I knew I was too busy, yet I didn’t know how else to be considered successful. Then one day I just couldn’t keep up anymore. My crash and burn forced a choice between doing the hard work to change, to become unbusy, or remaining unhealthy, depressed and miserable. After much searching in the form of doctor visits, counseling sessions, reading, studying and praying, I came to realize that not only did my approach need to change but also my thinking. In this process of becoming unbusy, the road to balance became increasingly clear. Right action and right thinking — the steps and the path — must partner to create a balanced life. Finding balance is not about establishing the right time-management habits or organizational strategies. After all, none of these will matter if you have too much to manage and organize in the first place. Finding balance begins with implementing actionable approaches that allow you to do the hard work necessary to become unbusy. For me, that involved three choices that daily direct my steps through the healing process and into a relatively balanced existence. 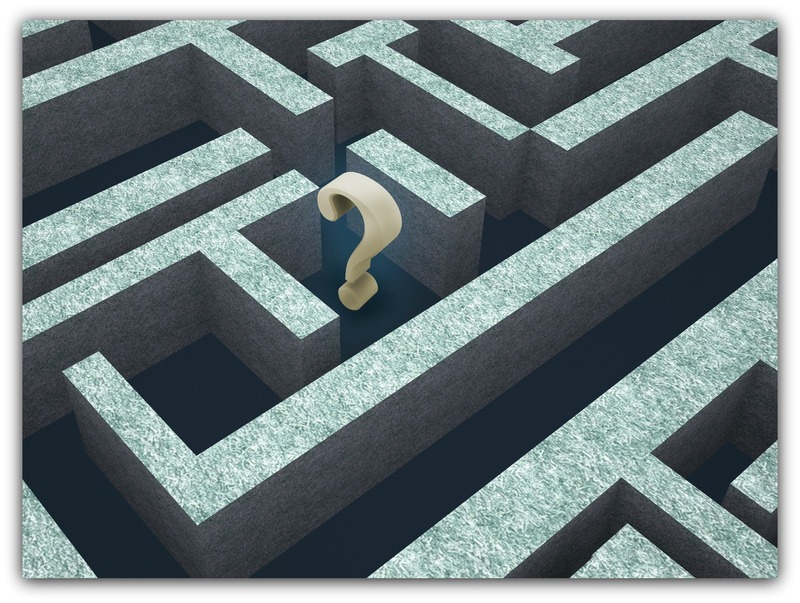 Ask “Why?” and “What?” These questions serve to get at the root cause. Why do you feel sick all the time? Why can’t you sleep? Why did you say “yes” to that commitment? What keeps you at that job when you hate it? What pushes you to be involved in every activity that comes along? Continually asking “What?” and “Why?” questions can help discover motives at the heart of chronic busyness. They help you understand your life rather than continuing to live from one reaction to the next. Refuse to quit. Persevere. Keep asking “What?” and “Why?” until you have answers, then ask some more. Dig until an understanding of the root cause emerges. We live in an information age like none ever before us, and the answers are there for those willing to pursue them. You don’t have to live in ignorance of why chronic busyness plagues your life. Keep taking small steps. Most progress happens in small steps taken gradually over time that add up to make a big difference. Rarely does progress happen in leaps and bounds. Asking “Why?” and “What?” gives the steps to take, and refusing to quit makes taking another step a non-negotiable. Eventually, if you refuse to give up, you’ll look back and realize you’ve left busyness behind and have found balance. These three approaches kept my actions headed in the right direction. At the same time, I realized that I could take right steps but still head in the wrong direction if I was on the wrong path. So while my choices to find the root cause, not give up and keep taking small steps gave me the motivation to keep moving forward, I also needed to change my thinking in order to make sure I was headed toward balance and not just another version of busyness. Next week, we’ll explore the principles of balance that create the thinking necessary to leave busyness, overload and overwhelm behind and to achieve and maintain a balanced life. DISCUSSION: How will you take steps towards a more balanced life today? The word “upgrade” leaped to a whole new level in the world of marketing over the past several of years. When you go on a cruise to the Caribbean, you’re encouraged to “upgrade your diamonds.” At pretty much any time after you’ve purchased a cell phone, you have the opportunity to “upgrade your device.” Fashion magazines also constantly encourage you to “upgrade your look” in one way or another. At some point, we all feel the need for a new direction or even a new beginning. Whether we’ve become overwhelmed by overload, saturated with stress or defeated by disaster, we sometimes simply feel like a whole new start or even a remodel of some area of our lives will give us the renewal we need to finally make progress instead of constantly spinning our wheels. Yet most of the upgrades offered serve only to give us that “fresh” feeling temporarily. In time, the new becomes old, and we find ourselves once again in need of another upgrade. Fortunately, one area exists where an upgrade comes guaranteed to positively impact all of life. An attitude upgrade brings a fresh start to those who feel stale and defeated. An attitude upgrade, if developed and maintained in a deliberate an intentional way, brings renewal to anyone’s outlook. Developing and maintaining a godly attitude could be the upgrade that changes your life permanently. Let yourself be renewed. (Ephesians 4:22) Be teachable, flexible and willing to change. Allow yourself to be renewed by staying open to others speaking into your life and to new ideas and approaches for growth. Acknowledge and repent of bad attitudes. (Acts 8:22; Genesis 4:6-7; Numbers 14:1-4) Let go of pride and admit areas of struggle. Confess the areas your attitude slides, and open yourself to renewal. Discipline your thought life. (2 Corinthians 10:5; Philippians 4:8; Philippians 1:20-25) Choose positive input and allow it to push out the negative. Remember that a key in any discipline involves constant, deliberate and intentional effort. Understand the relationship between attitude and emotions. (Habakkuk 3:17-19) Nothing derails a positive attitude more easily and more often than emotions. The Bible tells us we are to choose to rejoice no matter our circumstances. That choice may need made place every minute at times, but we allow our emotions to only exist as gauges and not pilots. Consider how your attitude affects others. This area of attitude adjustment provides tremendous motivation when we realize that our kids, co-workers, family, friends, spouse, and other Christians as well as non-Christians pay attention to our attitudes. We are setting examples and sending messages through our attitude, action and words. When you’re tired, hungry or sick, what happens to your attitude? When your day (or week or month or year) is particularly stressful with little (if any) relief, is it okay to let your attitude slip? We all need attitude upgrades. We all must choose to get to the root cause, which generally originates in the heart where our intentions lie. We must intentionally take steps, such as the ones listed above, to improve the aroma of our hearts (our attitudes). Doing serves to upgrade our attitudes, which in turn upgrades our lives in increasingly significant and probably unpredictable and uncountable ways. For a scripture study on attitude, check out Everyday Attitude. DISCUSSION: What is the aroma of your heart? What changes can you make to create a better scent? Backing into the school van during driver’s training while learning to parallel park (another driving challenge for me). Backing into my brother’s car early one morning when I was 16 (never told him about that). Backing a rental car over a huge boulder and needing several large men to lift it off (never told my husband about that one… he knows now though). Breaking the passenger rear view mirror on my husband’s truck when I hit the side of the garage backing out (he definitely knows about that one). Scraping the back passenger side of my Jeep when I backed into a trailer parked in our driveway. Backing into a moving car in a Barnes & Noble parking lot. Hitting a car parked in my own driveway when I backed out of my garage. While I haven’t had any auto accidents while driving forward, backing up obviously causes me problems. As God does so often in my life, He’s using this physical pattern to show me a spiritual truth. The same mistakes causing my backward vehicular accidents mirror those I struggle with spiritually and mentally. For example, my lifelong struggle with depression continues to haunt me, though less so as the years roll by. Out of this realization comes five principles I must regularly and deliberately apply to prevent my backing up from delaying forward progress. Don’t let hurry motivate. I backed into my brother’s car because I couldn’t see through the frost on my window, which I failed to clean off because I was in a hurry. Failing to plan ahead led to this mistake. A little planning ahead can prevent many of life’s blunders. Be sure to see when looking. The Barnes & Noble incident happened simply because I did not see the car when I looked before backing up. This is akin to my kids not seeing the milk right in front of them in the refrigerator. Sometimes we get so into the routines of life that we fail to see the obvious. Slowing down and taking time to really look helps prevent mistakes. Realize that others are often hurt by our mistakes. Backing into a car in my own driveway left me with a lot of guilt over the inconvenience I caused others. Realizing that our mistakes hurt others hopefully motivates us to develop habits that put us in a place of helping them instead. Take ownership. When I backed into the trailer in our driveway, it of course wasn’t my fault. I mean, the trailer isn’t usually there, and it was below my view enough that I couldn’t see it when I looked. In this and many of my backing-up incidences, my first instinct involved blaming someone else for the mistake. Yet, because I know I can only control me, I must take ownership and admit my mistakes and their root causes if I am to break the negative patterns in my life. Let go of pride & embarrassment. Each of these backing-up incidences caused me embarrassment. In my pride, I worried too much about what others thought of me. I had to humble myself by going through the above process in order to get out from under the weight of my mistakes. I love the parallel parking technology in newer vehicles today, and I would really like it on my next vehicle. However, if someone came up with a vehicle that backed up all by itself, that would be necessity. Unfortunately, there really aren’t any workarounds for backing up. We must look behind us from time to time in order to learn from our past and then move forward in a way that allows the past with its mistakes to positively shape the future. In other words, we each need to learn how to Put Your Behind in the Past. If we don’t, we’ll continually make the same mistakes and essentially relive our pasts instead of grow beyond them. 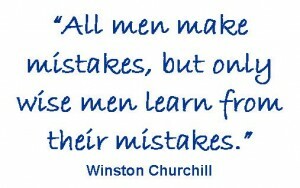 DISCUSSION: What patterns of mistakes do you have in your life? How can you learn from them in order to move forward? 45% of Americans usually make New Year’s Resolutions. 8% of Americans succeed in keeping their resolutions. 24% never succeed in keeping their resolutions. People who make resolutions are 10 times more likely to attain their goals than people who don’t explicitly make them. While the failure statistics speak loudly, a focus on the probability for success can determine the reality for meeting desired change. Increase your chances of success by setting resolutions that take steps toward a healthier you, that focus on whatever leads to more joy and that build and repair relationships. Creating resolutions/goals significantly increases your chances for moving forward. But how you go about making and maintaining those goals has a huge impact on their chances for success. 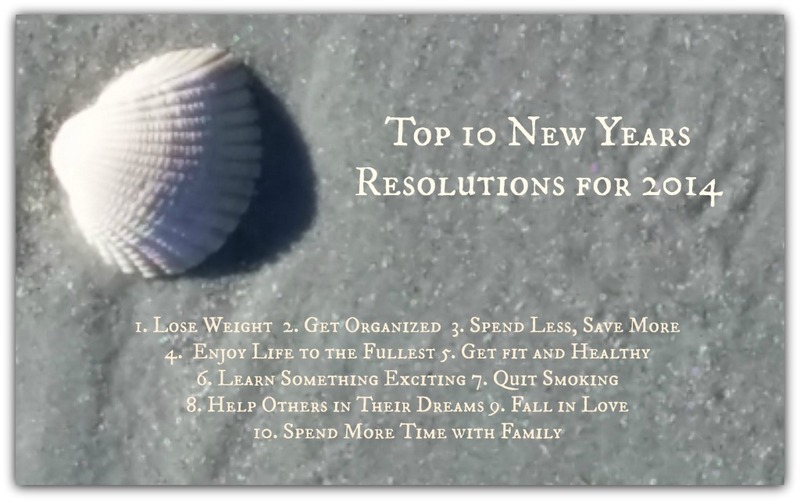 Consider the following goal setting tips to help you move toward a healthier year. Keep it simple. Simple may not necessarily mean easy, but it does mean more focused and true to who you are in Christ. Stay simple and specific with goal setting. Think small-steps. Never underestimate the power of small steps to add up over time to make a huge difference. Write them down. People are 42% more likely to achieve their goals just by writing them down. Pray often. Put your written goals somewhere you’re likely to run across them frequently. Pray over them every time you do. Ask yourself what reality you want to struggle toward this next year. Remember too that a reality of true joy and one where truth determines focus lies at the heart of a struggle that truly leads to victory.